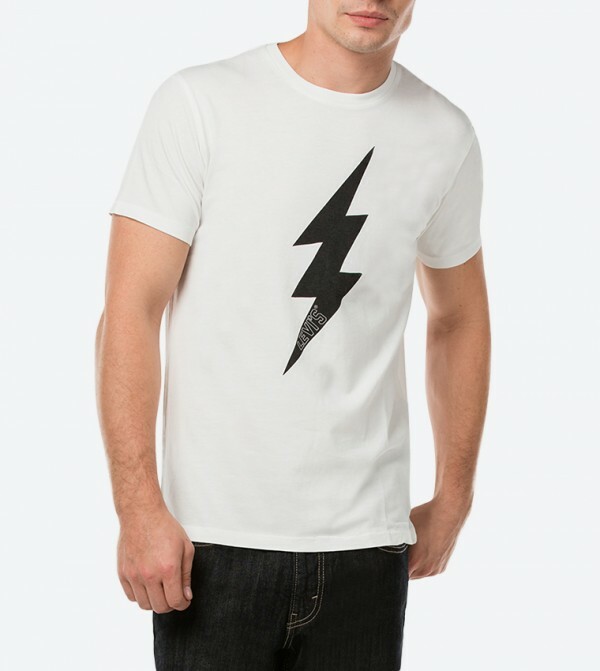 Showcasing contrast graphic on the front is this T-shirt from Levis. Tailored to perfection for urbane men using breathable cotton fabric. This tees and denim were made for each other. This one displays a distinctive, versatile graphic across the chest.